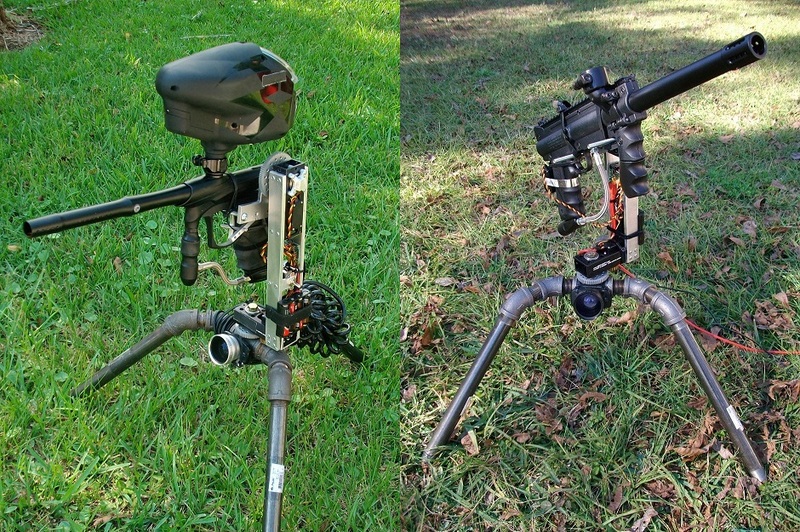 While I’m not sure why you might need a paintball auto-turret, it sure does look cool. Maybe this is the way you prefer to protect your home, or maybe you just really, really want to win a paintball game. Either way, check it out! Best part is that you can buy these kits that seem fairly easy to assemble, if a bit expensive.. This kit is $649, and you can get it here. What is the ‘Heavy Turret’? A turret is a rotating weapon platform. It is a pan/tilt assembly that holds a non-lethal airsoft or paintball gun. We offer these kits because currently there are no other options out there besides trying to build it yourself. These systems are the result of everything that was learned over 11 generations of design spanning six years of development. All the structural components are metal and the gun mount is universal. The design has been optimized to be low cost and highly functional. This slightly smaller kit is $378 and you can get it here. What is the ‘Mini Turret’? A turret is a rotating weapon platform. It is a pan/tilt assembly that holds a non-lethal airsoft or paintball gun. 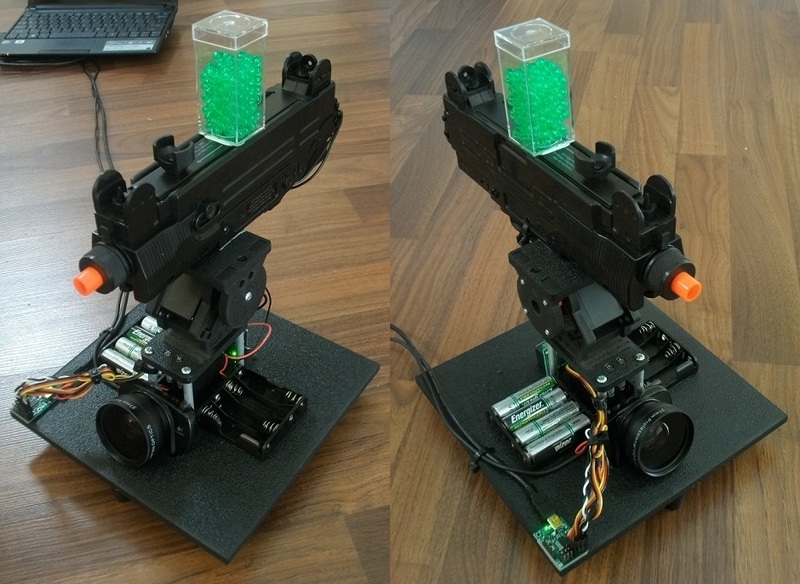 This kit is an answer to many requests for a complete sentry gun. We offer these kits because currently there are no other options out there besides trying to build it yourself. I wish i could go to airsoft more often! Thanks for sharing!